God has a story and He has called you to join Him in it. In fact, you were created to be an integral part of the drama that HE has prepared and is now playing out today. The only question is whether or not you’ve taken Him up on the offer. Join us this Sunday after the U.S. Thanksgiving holiday as we welcome our special guest, Rick Rusaw, to the show. Rick has an amazing story of growing up without religion but then finding God along the way. Thus finding God’s plan for his existence. Life now finds Rick leading a strong externally focused Christian Church and helping others make an impact for Jesus across the globe. Sharing the story of Jesus and making the most of the life God has loaned Rick are the passions of his life. So make plans now to join us for the live webcast at 8p Central. We will also be giving away a copy of Rick’s book, “Living A Life On Loan” toward the end of the webcast. You can catch the live webcast here at 8p Central or even engage Rick though our Sunday Nigh Discussions Google + page. You can also send in questions early through the blog here. BTW One of the biggest reasons to catch Rick live this Sunday is because he gave up tickets to the Broncos vs Patriots game to be on the show. Yup, he’s committed to SND this week. So you know it’s going to be a GREAT show. Are you in? Are you living the life that God created you to live in such a way that eternity will be changed? Isn’t that spiritual and evangelism stuff just for preachers and professional missionaries? Or is there something more? Is it possible that we can all get in the game? Join us for the Discussions this Sunday night at 8p Central as we welcome our special guest, Tim Harlow, to the show. Tim is the senior pastor of Parkview Christian Church in south Chicago-land and author and creator of the Life on Mission Project. Over the past 25 years Christ followers from Parkview have become an indispensable part of the south Chicago community. As a team, they have touched former gang leaders, business owners, ex-strippers, and soccer moms alike. Because these simple Christians were living a life on mission, their community and world have been transformed. How can God use someone like us to make a difference? How can regular people without a Bible College education touch their immediate sphere of influence and eventually the world? Is it really possible? Be sure to tune in here or on our Google + Sunday Night Discussions page for the live webcast. Feel free to send in questions early as we explore what it really means to fully live a life on mission. As usual, we will be giving away free resources toward the end of the show. What does it mean to live Glocally? Like me, pastor and author, Bob Roberts Jr. has a way of creating new words and Glocalization is one of his best. I love that word and what it represents. Thinking glocally is that healthy neighborhood between touching those locally around us and those who live on the other side of the globe. What was once a near impossibility is now a present reality in our modern early 21st century world. Yes, it really is possible to engage the world no matter where we are. What is God doing in the world today? How can we engage a globe that has gone flat with modern technology? What is the vision of Christ for his disciples in our modern times? Join us as we look at these and other questions for the Discussions Sunday night at 8p Central. Our special guest, Bob Roberts, will be with us to answer your questions and talk about living the life of a Glocal Christian. Bob has written a number of books and we will be giving away a copy of one of them to someone listening or watching our live webcast. 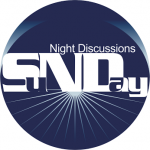 The show can be viewed here or on our Google + Sunday Night Discussions page. Questions can be sent in live via Google + of through email here. So make plans to join us then and feel free to send in early questions.